The teeth require constant care and upkeep to remain healthy. Many people are unaware that teeth are living features, and they are often surprised at how vulnerable they are to damage and death. Inside each tooth is a lifeline that provides essential elements to keep it strong and healthy. 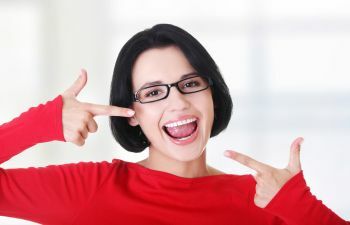 The root of the tooth is made up of both blood vessels and root endings that connect each tooth to direct access to components that keep it alive. If a tooth receives damage, then it is left vulnerable to dying. Cavities, decay, infection, and trauma can all cause extreme damage to a tooth, requiring intervention to be necessary in order to save it. Root canals are a popular dental procedure used to restore a tooth so that it can remain in the mouth. Root canals are often misunderstood. Many people wrongly believe that root canals are painful procedures, thus they avoid having them done. However, what you truly need to understand is that root canals are not painful – damaged teeth are painful! Severe damage or infection to a tooth is extremely painful because the nerves and blood vessels of the tooth are directly affected. Root canals are often associated with pain because of the pain that brings the patient into the dentist’s office. However, the procedure itself is not painful! Root canals are specifically done to alleviate pain and restore the health of a tooth. At Muccioli Dental, we are proud to offer comfortable dentistry services to all our patients. Drs. Lydia and Randy Muccioli provide painless root canals and have extensive experience with this restorative dental procedure. Root canals involve removing the infected nerve and pulp of the tooth, thoroughly cleaning the tooth, and sealing it to prevent further infection and/or decay. The entire procedure can be done under local anesthesia, but we understand that some people require a little “extra” in order to undergo treatment. 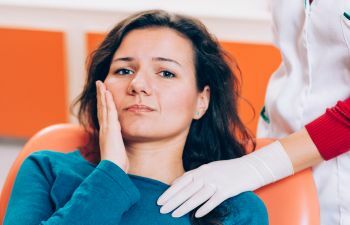 Muccioli Dental is pleased to offer expert sedation dentistry for patients who have a dental phobia or anxieties that makes it difficult to receive dental care. 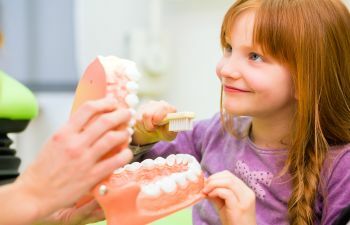 Muccioli Dental provides complete, compassionate care to patients of all ages. 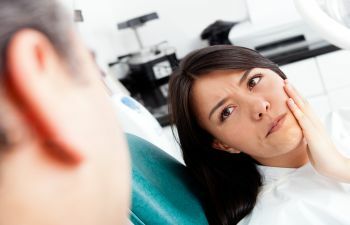 If you have any type of dental pain or discomfort, please do not put off making the call for evaluation and treatment. The longer you avoid necessary treatment, the greater risk you take that your issues will require extensive intervention. Root canals are not painful! Contact us for an appointment to alleviate your pain.